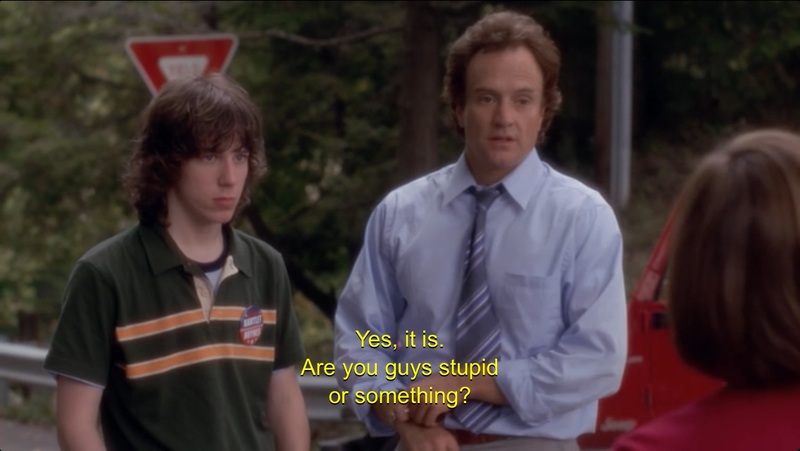 Gallagher, Jr. played Tyler, a 17-year-old Democrat living in a Republican-friendly rural town where Josh Lyman, Donna Moss and Toby Zeigler had been stranded after they missed the presidential motorcade leaving a campaign stop. 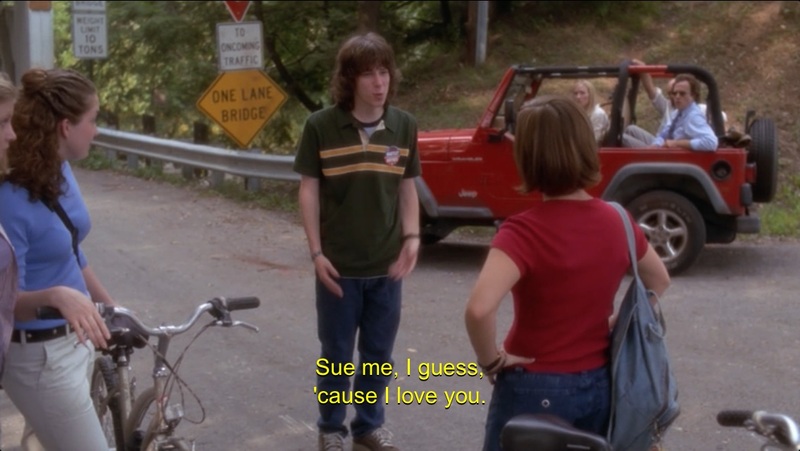 He picks them up in his Jeep, only to later get decimated by a pretty face a la Maggie (Alison Pill). Poor guy. 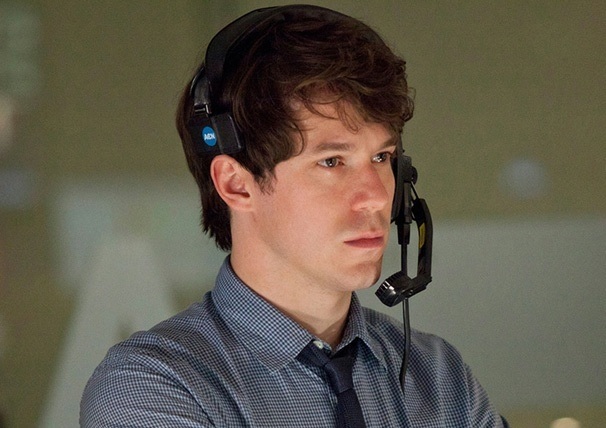 John Gallagher Jr. will probably never win with Maggie on The Newsroom. He was similarly doomed on The West Wing opposite Danielle Harris. He’s 29 now and doesn’t look much more grown-up on “The Newsroom,” but his character’s clothes make this baby-face look extra young. This episode, titled “20 Hours in America: Part I,” aired in 2002 as the fourth season premiere of “The West Wing.” Danielle Harris and Oscar-winning actress Amy Adams were on the episode too. 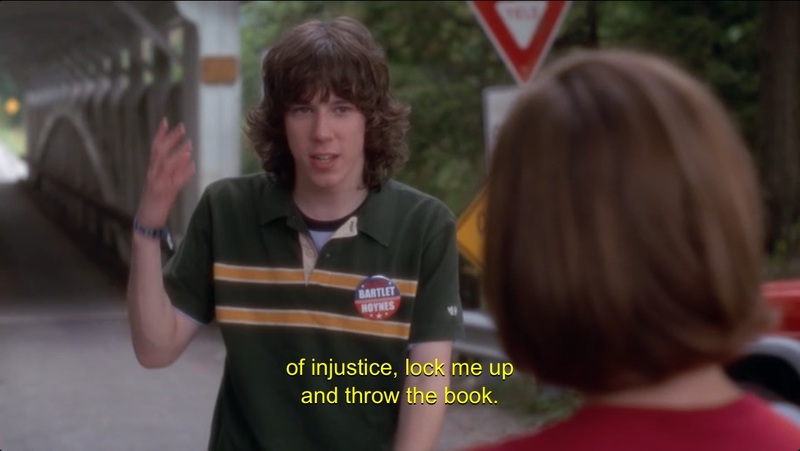 John Gallagher Jr. played a Democrat who helps Josh Lyman and other White House staffers stranded in a rural town. Gallagher, Jr. hasn’t been in much else — his credits include a few TV appearances and small roles in 2003’s Pieces of April (the Katie Holmes movie about Thanksgiving that no one’s seen), 2009’s Whatever Works with Larry David and 2010’s Jonah Hex with Josh Brolin. But hey, how many roles are there for a Jim type in movies and television? Keep it up, John — and you too, Mr. Sorkin. “The Newsroom” currently airs Sunday nights at 10 p.m. on HBO. “The West Wing” can be viewed in its entirety through Netflix streaming. This entry was posted in Pop Culture, Television and tagged Aaron Sorkin, Jim Harper, John Gallagher Jr, The Newsroom, The West Wing by Geoff 'DeafGeoff' Herbert. Bookmark the permalink.